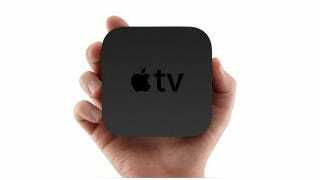 Is a New Apple TV Coming Next Wednesday? 9to5mac says it has sources claiming a new Apple TV will arrive alongside the new iPad next week, and that it will feature a variant of the A5 processor capable of handling 1080p video. Can you say full HD AirPlay Mirroring? Furthermore, those same sources claim that Apple will release three iPad models again, and that the low end model may not have the same color options this time around. And they offer up some model numbers to bolster their claim. This J1 iPad is likely the WiFI-only model, and the J2 and J2a are likely different cellular-data-enabled versions. GSM/CDMA/LTE have all been rumored cellular-date types for the new iPad, so those two J2 models are likely some technical combination of the three. Interestingly we're hearing whispers that the J1 may only come in one color – at least at launch.